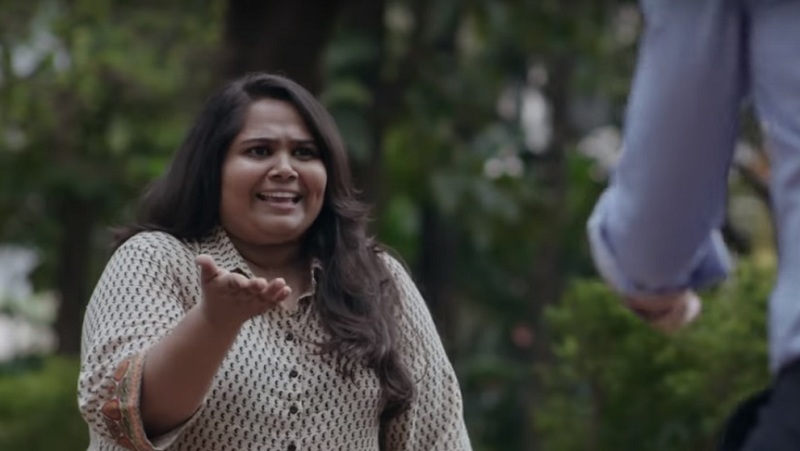 Comedienne Sumukhi Suresh, who has just released a web series titled Pushpavalli, isn’t afraid to play roles other actors won’t. She’s got the street smarts in place when she’s playing the cheeky maid and her dark humour’s on point when she is portraying 10-year-old Behti in Behti Naak. However, as Pushpavalli, she is dangerously close to losing the plot, as she takes a liking to a boy, moving cities in her pursuit. However, because it’s Sumukhi, she will probably find her way out of this, too. Pushpavalli is based on ‘true-ish’ events, but to what extent? Pushpavalli is definitely based on a lot of my characteristics and experiences. Just like me, Pushpavalli is a food science dork, is a Tamilian raised up north (multilingual) and decides to move cities to stalk a boy. Every girl has made that one bad decision when she first falls for someone and Pushpavalli is one of them. The difference being, Pushpavalli’s aggressive pursuit slowly starts blurring the line between right and wrong. She takes one bad decision and it’s too late back out. Do you think Pushpavalli is more relatable than the rest of the roles you’ve essayed? Pushpavalli is definitely the most grounded and vulnerable character I have played. Her dogged perseverance to make things work for herself, her pride that gets hurt when things don’t go her way and of course her innocent affection that inadvertently becomes devious, all of these are things that a lot people can relate to. Also women aren’t always black or white, there shades of grey to every woman. I have genuinely worked towards making Pushpavalli a flawed yet relatable character. What was the process of developing Behti Naak with a protagonist like Behti like? I believe that children aren’t always cute and sweet. They are honest and also mean. That was my hook. I was improvising the character with Utsav, and Kanan — who was watching us — suggested I should make something with this character. That’s how I sat and wrote Behti. How different is it to spearhead a product when there’s Amazon in the picture? I had the luxury of being only an actor in Better Life Foundation so I had a blast working on it. Behti, I made it on my own, but it’s short and sweet. A web series was a lot of work. To make sure that the story makes sense, the characters were fleshed out well, that the casting was correct, was a huge task. As much as it was a lot of work, as a comic I enjoyed the process thoroughly. Amazon has been very very supportive with my concept and I am glad because this story can easily be misunderstood and rejected without giving it a chance. You are popular for your sketches. What goes into mastering them and how important are they for a comic? The reason why I like writing and acting in sketches is because I wish to play different characters. That motivates me to write new stuff. I think every comic must know how to write a sketch. Comics abroad have done everything — from improv to sketch and that’s why they have well rounded skill sets. Do you think acting and direction in comedy is the next big thing? Where do you see stand-up now? I think stand-up will remain regardless. Stand-up is a very personal voice and it has its dedicated audience. What web series is challenging is the current content we have on different networks and not stand up comedy. Web series , acting and direction will be explored by a lot of comics because we all like to write long form but I am sure none of us can replace that with the joy of performing for a live audience. What inspires you to take up unconventional roles and not play by the rules? I don’t like playing the same thing. It tires me. I also believe that women are usually put in character boxes like the mother, the maid, the hot girl, the wife and these won’t test my acting skills, thus I want to do varied characters who are a little flawed and real.